Oh look! There are two knives from Stanley in this line up – they must be doing something right and are obviously loved and trusted by so many people – tradesmen, craftsmen and DIY-ers alike! This is the smaller of the two Stanley knives in this line up. It may be called the Stanley 199E but this 6 inch long knife is also known as the indestructible classic. It has a certain 1960s look about it, aesthetically and is now reinforced at the nose now (though it never originally had this!) The blades needed for this are lock-in blades so you will need a screwdriver in order to change the blade if it becomes blunt. The Stanley Fat Max is a much bigger knife than the Stanley 199E – in fact, it’s a whole 1.5 inches bigger. Due to the extra length, this makes the knife much easier for you to hold and work with, especially if you are wearing thick gloves for protection and safety reasons. It has a big spare blade compartment which is built in which is great because you rarely have to restock when it comes down to blades. This knife in the top five pen knives has won the Editors choice. If you are interested in purchasing Stanley products today, then why not contact Knife Point. Based in Sheffield, Steel City, we have over 30 years of experience enabling us to find the perfect tools for you. Here at Knife-Point, we are devoted to selling high quality products at competitive prices, through excellent service and communication, all within a rapid delivery time. So give us a call on 07737 133 030, email sales@knife-point.co.uk or click here to be taken directly to our website to find out more about our range of different available knives. GR8 Pro Safety Knives are high performance knives that have a unique moving action. This means that as the cut becomes more challenging to perform the blade initiates a sliding action to complete the cut. It is this sliding action which creates a clean cut so that snagging and jamming do not occur. Due to its heavy duty metal body it is the perfect tool to use in heavy duty areas, so is ideal for materials such as cardboard, twine, multi layered cling film and for cutting bands. The knife handle and the blade are detachable so that the blade can be changed when blunted. The time it takes to change a blade on the GR8 Pro Knife is a short and speedy estimated 10 seconds, which prevents you from losing time and getting behind with your jobs! This stainless steel blade and plastic handled knife make a great pairing for top performance, both at home or in the workplace. These knives are pocket and finger safe, which means that the blade is enclosed in order to prevent accidents. The GR8 Pro Safety Knives can be used by left and right handed users and come in a range of colours. Where can YOU buy a GR8 Pro Safety Knife from? Knife-Point, a Sheffield based company, are a leading supplier of knives and it is our intention to become your number one choice of blade supplier. With 30 years of experience, we stock high quality produce at competitive prices, whilst providing excellent customer service and extremely fast delivery. If you would like to find out more about GR8 Pro Safety Knives or the wide range of other knives that we stock, then contact us here at Knife-Point today. You can call us on 07737 133030 or click here to go directly to our website. There you can also see a wide selection of other blades you may be interested in, such as Stanley Knife Blades, Planer Blades and Swann Morton Blades, to name but a few. Here at Knife-Point; we want you to get the best use out of the products that you buy from us. To do this, it is essential that you understand the importance of maintaining your tools – and how best to utilize them. Ensuring that you source the knowledge to do this will pay dividends in the long-term – tools well cared for and used properly means a higher standard of finished product. Maintenance tips such as using an oiled whetstone, removing chips on the blade and ensuring that the blade is worked with a pushing action and not a pulling action; are all useful pieces of advice to keep you woodworking planer blades working at optimum capacity. The accuracy that this will help you implement in your woodworking tasks will help you to achieve unrivalled quality with any subsequent products. Woodworking planer blades are commonly used to flatten the surface of rough pieces of timber, reducing the thickness of the wood in the process. It is a technique that is used to produce vertical, horizontal or inclined surfaces; with the end result always being a smooth, flat surface. Historically; the first original hand planers came into use thousands of years ago, and they have evolved gradually over time to be the effective tools they are today. With origins in both Europe and Asia; the best aspects of continental design have been brought together to allow the variety you see today – such as our 82mm planer blades. Many of our planer blades are manufactured in T1 18% Tungsten HSS (High Speed Steel); and as such are of extremely high quality. Each piece is supplied hand honed and finished; which enables us to provide you with a perfectly sharp edge; free of nicks and burns. We offer bars in a variety of lengths; which are each tailored to be suited to individual bespoke requirements. Many of our planer blades are suitable for all types of planers; including four-sided moulders to surface thicknesses machines. You can be sure that our vast product ranges will encompass what you are looking for; so don’t hesitate to pay us a visit. We stock an impressive variety of planer blades – including our 82mm planer blades – so there is no doubt that we will be able to provide the tool most suitable for you. We have many years experience in the trade, which has helped us to emerge as an industry leader. Because of this, we are able to meet demands for specific knife products, which will enable you to carry out the work exactly as you wish to. 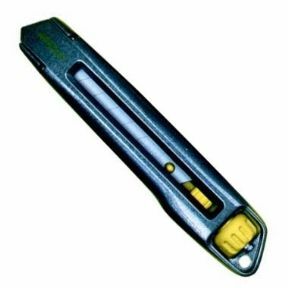 Proper maintenance – and an understanding of the tools you are using – are both essential things which help immensely when carrying out concise woodworking work withplaner blades. Woodworking planer blades are typically tough; and extremely durable. They will help you to carry out excellent work – as long as their upkeep is respected. It is vital that you make sure to keep your tools – such as your 82mm planer blades – as sharp as possible. By doing so, you are putting yourself in the best possible position to carry out only the highest standard of work. By following the correct maintenance procedures – and understanding their importance – you are evidencing responsibility and knowledge with relation to quality control. When it comes to understanding whether your product needs to be maintained, it is helpful to do your research (we often provide advice through this blog). Perhaps the best way to test the sharpness of the blade is by tilting it up to the light. By observing how the light reflects off the bevel of the blade, you can gauge its condition. If the blade is sharp, then the bevel will appear flat. When actually implementing the use of planer blades proper balance is essential. Distribution of body weight – by keeping your feet apart in a comfortable position – enables you to maintain the closest control when using a wood planer. Naturally, the end product will emanate accuracy and quality as a result. It is also useful to wait a few seconds when you start up your planer to carry out work. This enables the motor to reach full speed; and the blade can now be eased into contact with the material. From this point, you can push forward at a steady pace, ensuring that you continue to apply pressure on the front of the planer as it meets your piece of work. Without understanding both the importance of keeping your planer blades in good condition – and also how best to utilize it – not only will your planer blade not work properly, it will also subsequently result in you being unable to produce a high standard product. Here at Knife-Point we stock an entirety of different blades. Thanks to our incredible range of products, you will always find the right tool with us – no matter what trade you work in or task you need to carry out. We are confident that you will come back to us time and time again; thanks to our dedicated, experienced team. You can view all of our products here, at www.knife-point.co.uk. When you are carrying out work with your woodworking planer blade or black & decker planer blade, understanding the importance of keeping the blade in good condition is essential. If you are taking the time to purchase a woodworking planer blade of a high quality, it deserves your time and attention with regards to the upkeep of its condition. Varying types of metal can be used to produce this product, which is often seen to be used in the woodworking and joinery industries. It is quite easy to tell when your blade such as a black & decker planer blade is in need of being sharpened. If the blade is in good condition, you can usually tell this by turning it upwards towards a light source. If it is in good working order then it should look absolutely flat in the light. It is easy for your woodworking planer blade to wear down over the course of time. Following advice with regards to knife maintenance can be essential to the longevity of the product that you own. It goes without saying that it is worth spending the time taking care of your product, as if you don’t do this it will cost you dearly further down the line with relation to the expense that would be brought through the purchase of a new woodworking planer blade such as a black & decker planer blade. Some knives can be easier to sharpen than others, but you can always find advice from professionals on how to do this. It is simply inevitable that you will need to put at least some of your time into the maintenance of you woodworking planer blade, particularly if you are someone that regularly uses it as part of work.